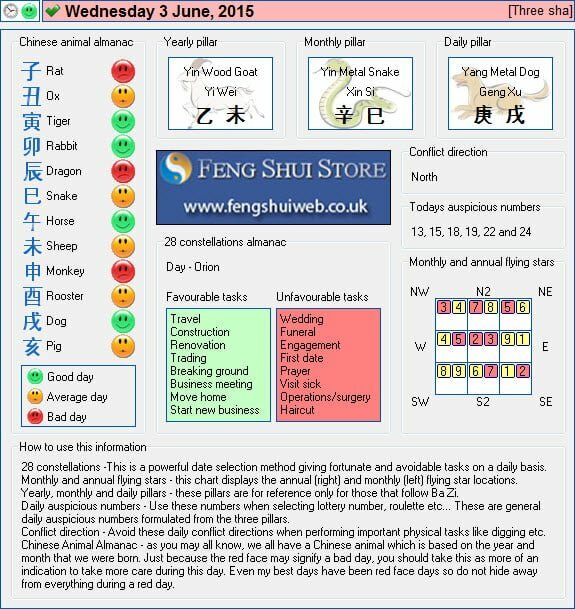 Here is the Free Feng Shui Tong Shu Almanac for Wednesday 3rd June 2015. Chinese Animal Almanac – as you may all know, we all have a Chinese animal which is based on the year and month that we were born. Just because the red face may signify a bad day, you should take this as more of an indication to take more care during this day. Even my best days have been red face days so do not hide away from everything during a red day.